Is Your Garden Lighting Safe? Have you ever thought about what needs to be done to make your garden lighting safe? 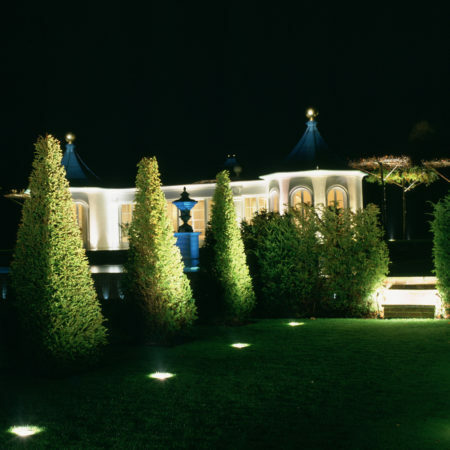 Find 8 top tips on how to design a hazard-free exterior lighting scheme in the article below. 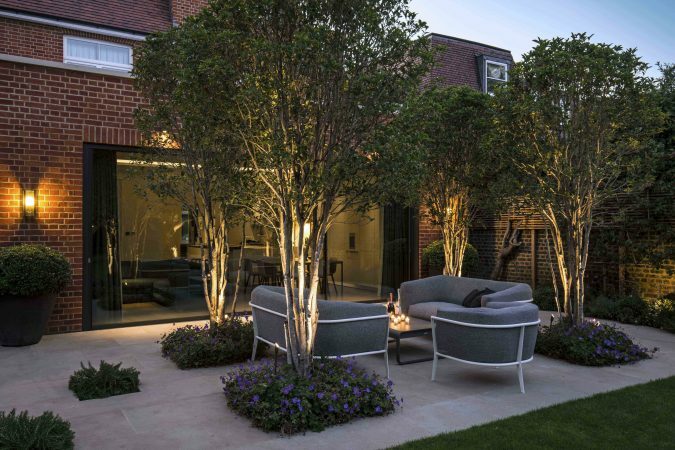 Many Brits continue to spend more time in their gardens than ever before, which means the trend for elaborate garden lighting is on the up. No longer restricted to a simple porch lantern or glaring security light, today’s exterior lighting has evolved to become more creative and inspirational than ever before; from beautiful backdrops, mood-setting and feature options, and more. Get it right and it can turn even the simplest setting into a place of beauty as the night sets in. All outside sockets must be RCD protected for safety. An RCD (residual current device) works by switching off the flow of electricity when a cable or flex is cut. Cables underground must be buried at a sufficient depth to avoid damage from garden tools. This will require the electrician to dig a trench in the garden. All cabling should be suitable for installation outside. Your registered electrician can advise you on the best options. Decorative lights plugged into an outdoor socket should be taken inside after use unless they are clearly labelled as waterproof. They are not designed to stay out all year round. Always buy outdoor lighting equipment from a reputable retailer and make sure anything you buy is waterproof – especially if to be used for water features. Good light fittings will always carry an IP rating, which indicates how well it stands up to external conditions. It’s also worth looking out for a BEAB Approved Mark and the European Community (CE) safety symbol too. Remember, any incorrectly selected, the installed or damaged outdoor lighting installations may create a risk of electric shock, resulting in serious injury or even death. If in doubt, it is always advisable to seek the help of a professional qualified electrician, such as those registered with the NICEIC or ELECSA, who will be able to make sure all work is done safety and to required standards. Get inspired with our our latest exterior lighting projects.